Although there are many kinds of werewolves and every werewolf is unique there are two main types of werewolves. Now I know that you are saying, “not everything can be dividing into two groups” to which I reply, there are two kinds of people in the world, those who think everything can be divided into two groups and those who don’t, but in this case it really is true and one of the most important ways that werewolves are classified is by how they became werewolves. Did you get bitten by a werewolf or did you inherit the lycanthropy gene from one or both of your parents? The basic premise of what a bitten werewolf actually is pretty easy to follow. If you are bitten by a werewolf on the full moon then you will turn into a werewolf on the next full moon and then be forced to transform every lunar cycle for the rest of your life. Bitten werewolves generally have a much more difficult time controlling their transformations than genetic werewolves do. 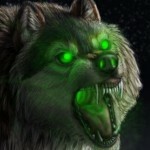 Both resisting transforming during the full moon as well as attempting to transform at times when the moon is not full are very challenging things and most bitten werewolves spend years trying to master these abilities. Genetic werewolves are a bit more complex and often harder to identify. The werewolf gene sometimes skips a generation or two so even if neither of your parents is an actual werewolf at least one of them carries a recessive gene that has been passed down your bloodline, possibly for centuries or even millennia. Genetic werewolves generally have an easier time resisting transforming when the moon is full as well as an easier time initiating a transformation at other times. In spite of the easier time that genetic werewolves have controlling their transformations when they do transform their transformations are just as painful as their bitten werewolf cousins. I think I shift at nights don’t remember though. Reason I know this is that certain parts doesn’t comeback and maintain changed. (not animallike though).. . I tried to make an account but the prosses was too annoying so I didn’t. I think I may be a genetic werewolf. I don’t know much about my family tree but the main things I know are that my mom is from Russia and my dad is from the Philipines. I also had a dream where I was something that almost perfectly describes a frost wolf. (That was before I knew frost wolves existed) There are also a bunch of other reasons why I may be one and I’ll type them if someone asks because I may not be read. I hope someone can help me. Though I said I would reply more stuff only if other people asked, the second after I commented it I realized I left out a lot of information that I would like to add. When I was younger I think I was angered a lot more than today, I don’t really feel like everyone else, I have no dreams for the future, and my schedule is basically going to school coming home, reading sleeping and the rare random occurrence. I recently started trying to self-teach myself things that may be important for the future, or at least a future where I know that I’m a supernatural being. (I didn’t teach myself much yet though) At the current moment, I can’t think of much else except the question: how do I end this comment? i don’t know if i’m a genetic or bitten werewolf because my mind was erased by a reaper when i was little, i know my werewolf parents were killed by a reaper and i even know it’s name, i am still trying to get answers myself, i will help you if you will help me. Quick question, did you use your real name because if so, you are easily located I googled your profile name to see what it was based off of and I found a facebook and google + page of a person of the same name. I can help you out if you want… My first transformation will probably the next full moon and I’m a genetic werewolf as well, but I know a hell of a lot about werewolves and shapeshifters in general. My son has always liked and obsessed about wolves. The outdoors and being in nature. He tells me sometimes he just has to howl and run in all fours. He tells me that it seems a piece of him has always been missing and he’s never felt whole. He dreams of running through the Forrest and hunting as if he is a wolf. Now he believes beyond a shadow of a doubt that he is a shape shifter. He wants to do the spell to be able to fully transform. I want to make my son happy. I’ve always believed that myth and lore originate from somewhere. So it is feasable that shape shifting is real. Please help me. Show me or teach me that it is a possibility. If anyone here could help me with realistically finding a way to be turned please let me know and/or message me, thanks. Okay, there are a few things that I must clear up. First, you can’t simply become one of us by being bitten. You would have to be practically torn to shreds. Your blood would have to merge with that of a werewolf and re-enter your body. I may have a spell that will work. Why would you like to become a werewolf so much? There is a few ways to do it actually. The bite thing is because the saliva of werewolves contains a virus that can turn humans and kill vampires very very slowly and painfully. The bite has to be very deep though and well 1 out of 3 turned that way will die, for… reasons. It’s also possible to do by carving a certain mark into the flesh of the would be werewolf, on the forearms and the forehead, while speaking certain words in a language that no longer exists. I’ve never seen it done successfully by any other spell, but that could be because most other spells actually turn one into a shadow hound. And well, that’s where those stories about “werewolves” eating people come from. The shadow brothers are corrupted werewolves controlled by the Darkness. I’ve already tried multiple different spells over the years. I want to become one because I feel like it’s the one thing I’ve been missing my whole life. I’ve been trying for 9 years and I haven’t gotten anywhere. My boy believes he is a shape shifter. That his true form is a wolf. He identifies as a mythical or a non earthly animal. He has believed for years that he is different. That sometimes he needs to run on all fours in the woods and howl. He has recently learned of transformation spells is this a reality? Sorry I want to clarify. I don’t want to transform him. I want to know if it’s selfish for me to think that he’s crazy. My gut tells me he is right. But my brain is having a hard time comprehending that myth and lore are reality. I am just hoping for some guidance. cramps and bone pains in his calves, feet and ribs for years. He has migraines that can’t be diagnosed. MRIs and CTSCANS show abnormal spots behind his eyes. But say it is not note worthy. He has grown 7 inches in 6 months. He has been obsessed with wolves since he was 4. He is most comfortable in nature and solitude. He has been craving meat for months and dang near raw red meat at that. He tells me he dreams of chasing prey through the mountains to wake up with the taste of meat in his mouth. Now he tells me a few days ago that he wants to know if I believe in shapeshifters even if I can’t see it. Said I have blind Faith in God so isn’t it likely that shapeshifters are real too. After hours and hours of talking he jumps to the war of 2022 because he intends to fight with the mythicals because that’s what he identifies as. He proceeded to let me know that he’s finally found his way home because he believes beyond a shadow of a doubt that he is a wolf. He thinks he just needs to align his inner self and self by fully and finally going through the transformation. I want to know if I’m loopy for believing him. If it is truly a world where myth and lore are real. Shapeshifting is real, shapeshifting spells are another matter. 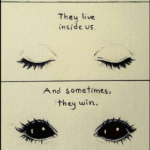 But we werewolves are real yes. And your son may be one, hard to tell at this point. i do know a way that might work, try getting pissed off (mad) at someone, that”s what helped me but i can’t control my transformation yet so be careful. Also, sorry ppl, but in the RULES OF THIS WEBSITE it specifically states: DO NOT COME HERE SEEKING TO BE SWITCHED. Preach it! These wannabees are flooding my message inbox, thinking the switch is just a little lovenip on the hand or something. They need to do their research. I am fine giving advice and information, but I will not be responsible for the side effects of the bite. Yup. I’m a naturally born werewolf and I hate it when the humans come here seeking ways to become a werewolf. It’s annoying and in my opinion, if you want to turn, it’s for power or some other reason for yourself. It’s not as amazing as it seems humans there is a lot more to it than just shifting on the lunar cycles and/or whenever you please, it’s just not like that. Sorry to my humans out there but you ain’t gonna get help turning here. Im not sure if I am a werewolf but how exactly would you know if you are one? Im sure if I am one I would be genetic I havnt been bitten by anyone. I have symptoms like uncontrolled anger, color changing eyes, get really warm sometimes, strength, speed, I shake when I’m mad aswell, random pains in ribs and other parts of my body like spasms, craving for raw meat, obsession with the moon, my senses are better then others, im sensitive to loud or annoying noises, and my favorite animal is of course a wolf (next to dragons). Also what age do you awaken and what are the symptoms of awakening? Im having these symptoms at sixteen 1 6 and im a female. When werewolves shift (genetic werewolves) do they look like normal wolves but much larger like in twilight? Or more man-like like in Harry Potter? When a wolf finds its mate can you feel it? Like how do you know you have found your mate? Sorry I have so many questions. 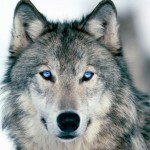 How do you awaken the wolf gene? I don’t know much about how to tell if you are a werewolf or not but your symptoms are the ones that are generally mentioned. From what I have heard, you can awaken at any age but it is most common to do so around your teens. I have heard sometimes you can get sick before awakening though I don’t know how true this is. From what I hear, to trigger wolf genes, you can either have someone perform a spell or have something bad happen to you and I think then you may snap (If that’s the best word used to describe it) and turn. I think weres find it easiest to switch between human and wolf form but they can become a hybrid of the two. I think frost wolves are the ones most able to do so. Now please don’t trust anything I say because I got all my information from this website and the countless books I’ve been reading and I don’t know how reliable either of those sources are. Hopefully, this helps you, and if it doesn’t, I recommend reading all the comments on this site and NOT revealing any information about yourself. Hi. I’m turning 20 in July. I know that my great grandad was an aztec (which is why i think i may be a genetic lycanthrope) and that my grandmother was a native american who was stolen as a child. I know in some way i am a werewolf. Its just when i was a kid 2 selfish creaturescame in promising what i wanted but only did the oposite. In the process i lost myself. When i was very young (1-2 tears old) my mom befirended an indian man who had a pet wolf along with other large dogs. She was always hesitant and somewhat fearful but me and that wolf becamr the best of friends the first we laid eyes on each other. And before my preteen years i was able to control the rain.Long story short im seeking guidance. If im part lycanthrope i should still be able to physically shift, yes? I know how to mind shift and spiritually shift. I mean no disrespect to anyone and only come in search of guidance and myself (if that makes sense). i don’t know if i’m a genetic or bitten werewolf, my werewolf parents were killed by a reaper and a hybrid took care of me, later on i was taken from him and given to human parents, my memory was erased and the hybrids was too. i’m still looking for answers and i will help any of you if you will help me. i need all the answers i can get and i know some of you want answers too. all magic creatures will come to get and be under one leader soon and the demon will be the first to see it then werewolf then after that is the vampires than other magic creatures. is seeing a blue or violet ring around the moon a sign of being a werewolf or….? Can someone reply ASAP please? It’s said that bites would kill most of the humans that are bitten, and that only the ones with a bit of wolf genes would survive. The reason would be that werewolves have a more powerful mind and body than humans (if your body is too weak you’ll never transform, and if your mind is not strong enough you won’t be able to control your actions in wolf form). If a human would transform into a werewolf, most of them would die when having their first transformation, purely because they don’t posess enough energy to survive and successfully achieve a shift. The ones that survive will probably see it as a curse, because bitten werewolves have a harder time transforming and will experience more pain during transformation than genetic werewolves. Werewolves that will be able to transform, at least genetic ones, are born with a naturally higher amount of energy, plus a tougher body to survive a transformation than a human or a non-transforming wolf (cause till you actually shapeshift you’re a wolf but not a werewolf). I’m not really sure if wolves that carry the gene but cannot transform will be able to when they get bitten, but genetic werewolves are said to not be able to turn others. Meaning that genetic and bitten werewolves were two different species from the start. Hello…My name is Isadora but most people call me Isa or Izzy. I need someone’s help. I was adopted from Russia as an infant and I know nothing of my family. I am soon turning 20 and somethings going on. I’ve become more irritable as my birthday grows closer. My arms and legs get excruciating growing pains (usually more intense at night) even though I’ve stopped growing. My teeth have begun to ache and I sometimes just want to pull them out the pain is so bad. Also my nails seem to be growing longer and faster. WHATS GOING ON!?!? Well you might be a werewolf. Or seeing as Russia is in play a werebear is also possible. It could also be a complete fluke. Have your eyes ever changed color? Have you ever become so angry at someone you couldn’t even think? Have you noticed your sense of smell being very strong or sensitive? These signs together with the other ones would make determining exactly what’s going on easier. If I were you I would somehow try to find your family and see if there is an ancestor with the gene in your family. You have to either inherit it or be bitten. If anybody wishes to join, The Midnight Eclipse Pack is in search for werewolf members. It is organised, supportive, and includes multiple resourceful and kind werewolves open to giving advice and answers to whatever questions you may have. 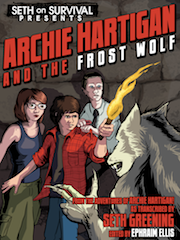 Check out the pack if you wish for a strong, united group of werewolves to stand by you no matter what. I think im a genetic ww. Ive had a fascination with lycanthropy as far back as 5 years old. Its 60 in my room all the time but i still have to keep two fans on so i dont sweat and cant sleep, i have insomia, love the darkness/night, i get really squirlley/alert and agressive before and during the full moon, wont eat anything other than meat (normally undercooked), i have a temper, my father and mother always called me a “pup”, i have randoms pains in my body all they time, sister asks why it smeels like wet dog in my room when i hop out of the shower, never felt comfortable in my own body, can mimic a howl of a wolf perfectly (feel the urge to howl during the full moon, yeah i know thats cliche). I didnt wanna register on YLL because im not for sure yet, but i need some help figuring this out. So please, help me out, i aint no wannabe or anything. yeah do you know any werepantherwolf clans? Is it normal that i can control my transformation? Not to normal but I can aswel so no need to worry. How do you trigger the transformation? I know I was born one, others can sense it too and I’ve had certain friends say I smell like wet dog and that I smell like a wolf as well. I’m 19 and still haven’t shifted yet and I know he’s in there just waiting. I can sense him and feel him. During full moons I just get irritable and I’m in pain. Most days I’m in a lot of pain and I’m constantly angry and irritable. My hair and nails grow fast and I always feel my ribs, spine, shoulder blades and everything else popping, yet I still haven’t turned and I just wanna trigger it. I’ve partially shifted before and have had the urge, but have never fully shifted. Any help would be greatly appreciated. What do you mean partially shifted? And in every dream that I have, no matter where, there is always a silver wolf in the crowd, barely visible. Not to mention, in all my dreams, someone always dies, whether its a love, a family member, an enemy or just someone random. Does this, perhaps, mean something? I’m 19 and still haven’t had a transformation is that normal? It is a sign, and the people dying part… can point to many things. One thing is that you are a born hunter for the dark side, a born spy from either light or dark, or trying to lead people to safety. I’m racking my brains, trying to think what it could mean. So, I know that this question was asked a very long time ago, however, I’ll answer this for future reference, or if you come back. The silver pelts probably symbolize the oldest Oak werewolves (in moon age). As the moons progress and the werewolf transforms more, the pelt lightens until it arrives at a pure silver. I believe there’s also a couple more, like some Storm or Lightning wolves, but the Oaks are the first that come to mind. These wolves could symbolize a pack, or perhaps ancestors / guiding spirits. It may be referring to the wisdom of older Oak werewolves, or the kind that you may be. Referring to the death of someone close to you in your dreams… perhaps it symbolizes fear. If you feel obligated to protect these people, then this is why you dream of them. It could represent a fear of failure, betrayal, or loss. These are common among people, and I’d imagine even more so, since wolves are protective of those they love. I think we may be similar. I don’t know if im a werewolf, but I have had dreams of family members, friends, or random people dying in a forest or telling me to run. It started happening when I was younger and I can recall many of them. I want to also know if I might be a werewolf…. Maybe you could help me. yes i does mean something but i’m not sure yet, give me some time to figure it out. It’s perfectly normal, my friend shifted at 21, my other friend shifted at 30. Normal. You may experience it when your 395. You never know. How do you know if your a werewolf? Perfectly, sometimes the wolf gene is dormant, so you know he’s there, but your wolf doesn’t feel threatened or the need to shift. Most commonly, a fascination with wolves, the wolf dream, sharp canine teeth, golden to yellow green eyes, color changing eyes, rapid hair and nail growth, headaches, random inexplicable pains all over, fascination with the moon, a taste for meat and or blood, anger/emotional control issues, heightened senses, sensitivity to very high pitched sounds, and insomnia. All of these are potential symptoms/signs of the wolf gift. Not to mention shifting even partially. Which also counts. IceFang can you answer this question: My friend says she’s an immortal and she knew my ancestors and she keeps saying “Your family is a special kind” and when I ask her about why she said that she changes the subject or says “No” and then changes the subject to something random. What does this mean? I am part of the Gandolfini family. When will I transform? I get unexplained headaches. I have emotional/anger issues, I’m hairy, I have insomnia, I like having my meat rare to medium rare, and too much. 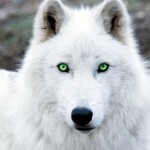 Once I saw a white wolf in my eyes. I just have some questions if you could help me. I just need to figure this out. Can you help me? I think i’m a werewolf. I just had my eyes change to a dark green today even though they are normally brown and its very close to the full moon. I have small bits of insomnia, fascination with wolves, Im in love with the moon, I have seen rather a russet or white and gray wolf in my dream, sharp teeth, I just started getting strange headaches, random pains like right now my leg, I HATE high pitched sounds, and my senses are better than most people and just become better at night. I just want to know if I might shift. And yes, I also don’t cool off easily when i’m angry. I have all of those except the yellow eyes and shifting partially. Icefang, I want to see if I may be a werewolf. If so, I can tell you symptoms. Reply to me soon. Is Lycanthropy a gift or a curse? Well, I love it. Along with my theory that I MAY be a wolf, I have recently became faster and stronger, I have not been bitten… what is the normal age for a shift anyways?…. im XXXXX and im suspecting that I might be an awakening form that was once living. Someone help….. plz…. I have tan skin as well…. that may be a strange factor to it….. also, I feel comfortable in the darkness and I am faster at night. My eyes change to a coalish color at night and they’re originally dark brown… people say I seem adult like for how young I am and I never really feel as cold as I used to in winter. I am stangely amazing at stealth even though I am taller than most of the kids in my classes. Also, my hair grows fast. I got it cut during the end of the summer summer and its back down to the start of my ribs. Someone give me advice and tell me if I am a werewolf! I love my lycanthropy aswel. Its very possible due to the fact that you have had all f the symptoms i did. She very well may be lying. Vampires aren’t immortal so there are very few “immortal” species. Just be careful around her she could be trying to trick you.